Still need to migrate your Rockwell PLC-5 Controllers? As you plan your transition, keep in mind, staying with your current vendor may not be the best choice. 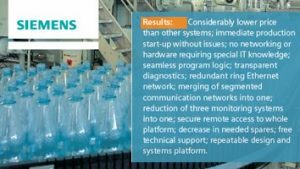 See why a major global beverage manufacturer that had standardized on Rockwell for decades, recently switched to Siemens and achieved a 40% reduction in hardware costs.